For the past year, Angela spent her days soaking in the beauty the many beaches in Santa Cruz. At night, however, Angela would be in dark, motionless parking lots throughout Santa Cruz fearing for her safety, not knowing what she would eat for her next meal. Angela first experienced homelessness four years ago, when the unimaginable happened: a foreclosure forced her to leave her home. 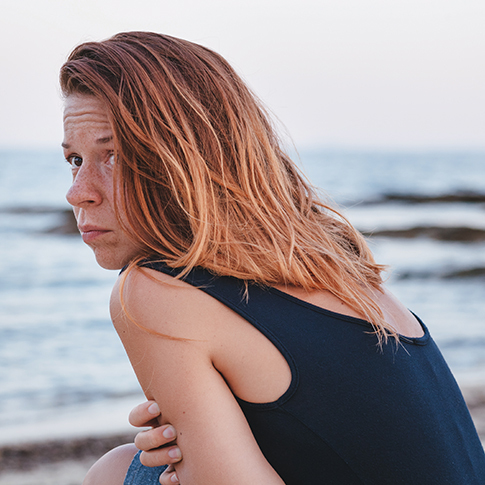 While searching for a new place to call home, Angela was hit with an additional misfortune, losing the alimony she was receiving. With no income to pay for a place to stay and nowhere to turn to help, Angela was forced to live in her car, struggling with the fear of what would happen to her from one day to the next. One day, when Angela was at the beach to escape the reality of her situation, she took a wrong step and fell along the cliffs, breaking her back. She was rushed to the hospital to receive treatment for her injury, getting a roof over her head and food in her stomach for the first time in over a year. But on top of dealing with the pain from her injury, Angela spent her nights wondering what would happen to her when her hospital stay came to an end. When Angela was released from the hospital, she was admitted in the Recuperative Care Center at HSC. After she was recovered enough from her injury, Angela was accepted into Page Smith Community House, where she as able to really take advantage of the resources offered at HSC. She devoted hours every week to her ultimate goal of finding a stable living environment for herself and her cat, Mister. With the help of HSC Case Managers and Housing Navigators, as well as her own persistence, Angela moved into a studio in Aptos. Angela had many struggles during her life of homelessness and even contemplated suicide. She feels the best way out of the hole called homelessness is to use resources offered at HSC and other homeless advocacy programs.